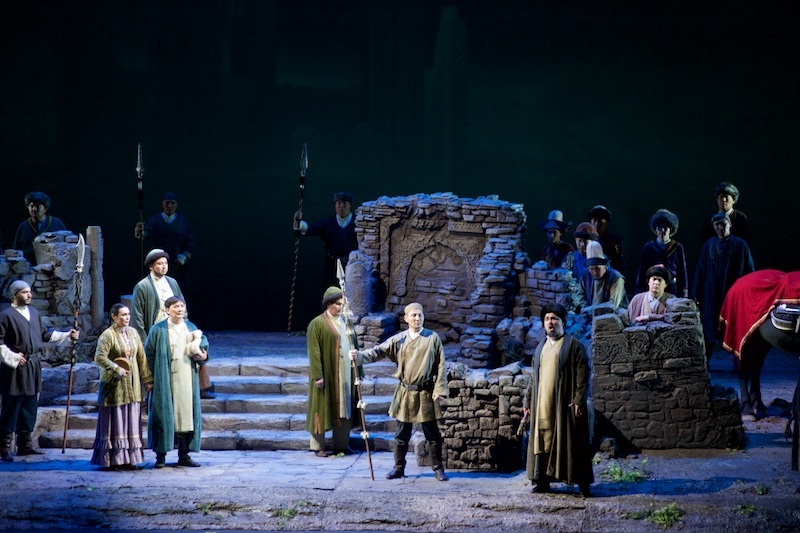 ASTANA – The Astana Opera presented “Abai” Nov. 8 and Symphony No. 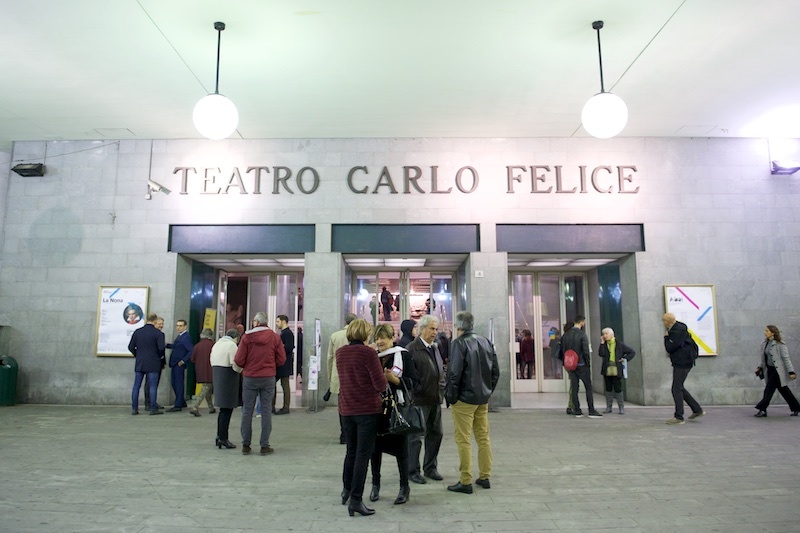 9 by Ludwig van Beethoven Nov. 10 at the Carlo Felice Theatre in Genoa, reported the theatre’s press service. The opera, created by Latif Khamidi and Akhmet Zhubanov, was also broadcast live in 40 countries. Astana Opera principal soloist Sundet Baigozhin performed the main part of Abai, with Nurlan Bekmukhambetov as Aidar and Maira Mukhamedkyzy as Azhar. “Presenting our Kazakh music, performing a national opera abroad is one of the main goals of Kazakh artists. The opera ‘Abai’ is the epitome of the true Kazakh spirit, the life of our ancestors. 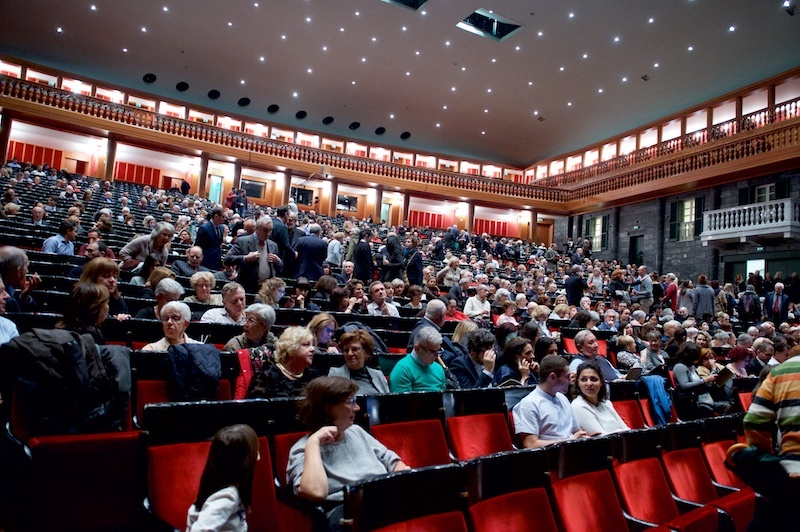 We, the performers, must convey the whole essence of the opera to the European listeners. I know that the opera ‘Abai’ was staged in the German language in Germany, but it will be performed in Italy in Kazakh for the first time… Abai is a legendary person for the Kazakh people; he is an outstanding poet, educator and philosopher who became the nation’s spiritual teacher. This is why it is a great responsibility for me to perform this role in Italy, even though I have often portrayed the character of the great Abai in our country,” said Baigozhin at the press conference prior to the tour. The national opera features the rich traditions of the Kazakh people through virtuoso performances of artists and national dances. The set design emphasised the beauty of the great steppe and the audience especially admired the yurts (traditional dwellings for nomads) with their golden embroidery under the high blue sky. 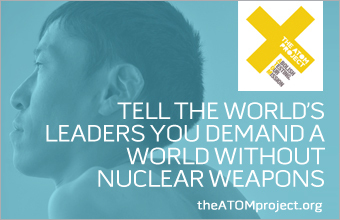 “I was greatly impressed by the scene where Aidar is dying. The soloist [Nurlan Bekmukhambetov] sung his aria lying down, which requires special training, because singing in this position is not easy. Sundet Baigozhin in the role of Abai was certainly one of the best performers. He has a very beautiful and resonant baritone and from an acting point of view he was able to show his character’s wise nature. Overall, I liked the performance very much. It is a great joy for us to get acquainted with Kazakh opera for the first time, to learn about your art. I was surprised that animals were involved in the production and everything was very spectacular,” said audience member Gustavo Neri.